TCL P6 series has been a favourite choice among price-conscious buyers since last year. 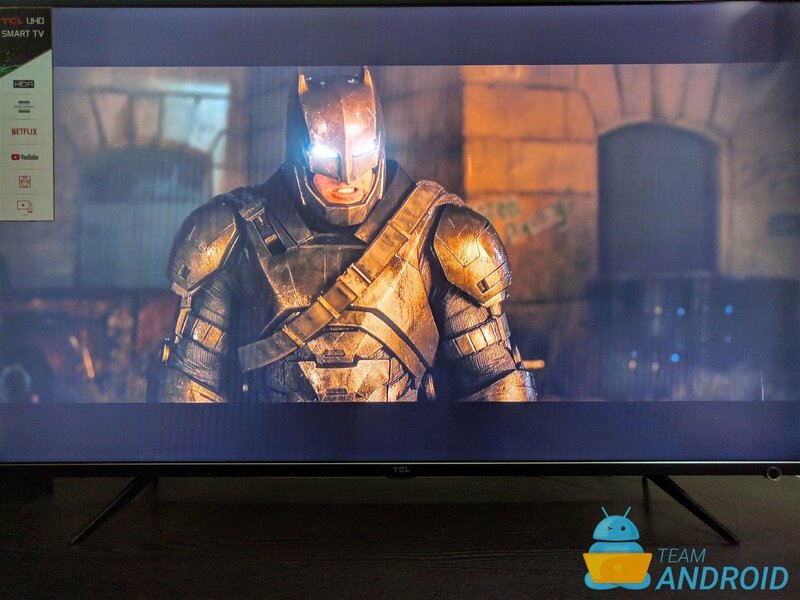 Their P6 series brought a number of high-end features and 4K UHD resolution to mainstream TVs. 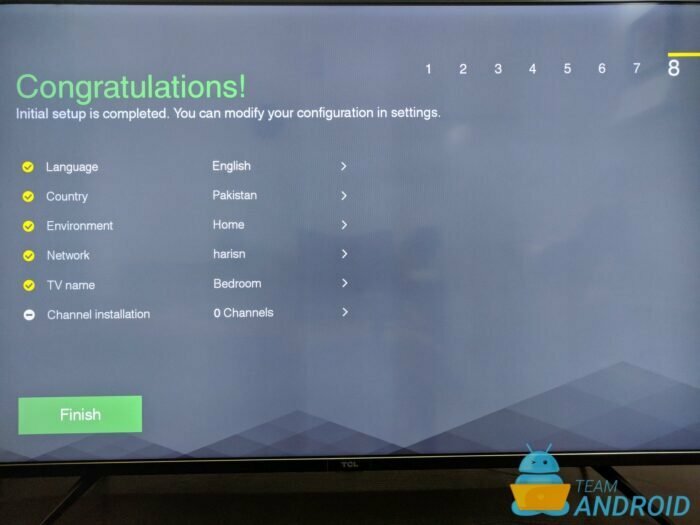 TCL Pakistan launched their P6 series of TVs a couple of months back and and have targeted a mid-range market with high-end features. The sizes available as part of the P6 series are: 43”, 50”, 55” & 65” — all available in black colour. 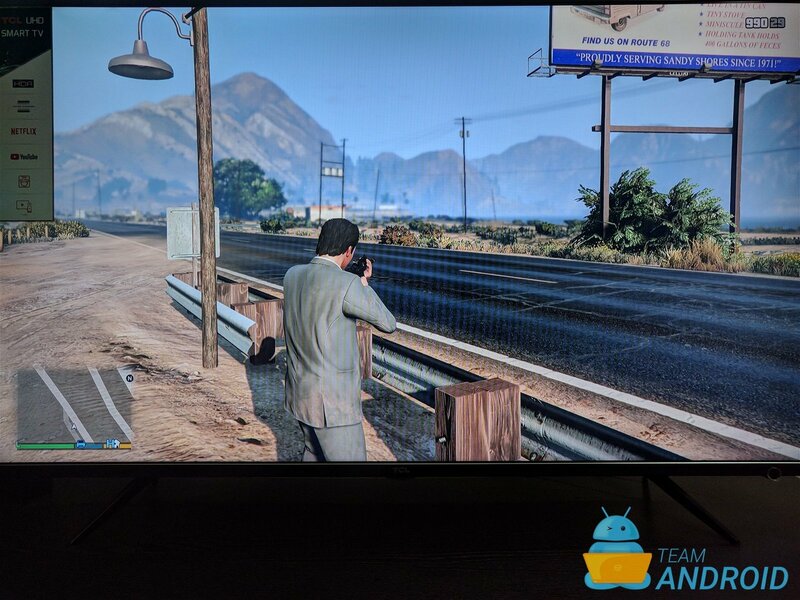 We have the 43″ TV with us and in this review, we will go through and talk about the good, the bad, and all the amazing features this TV comes with. 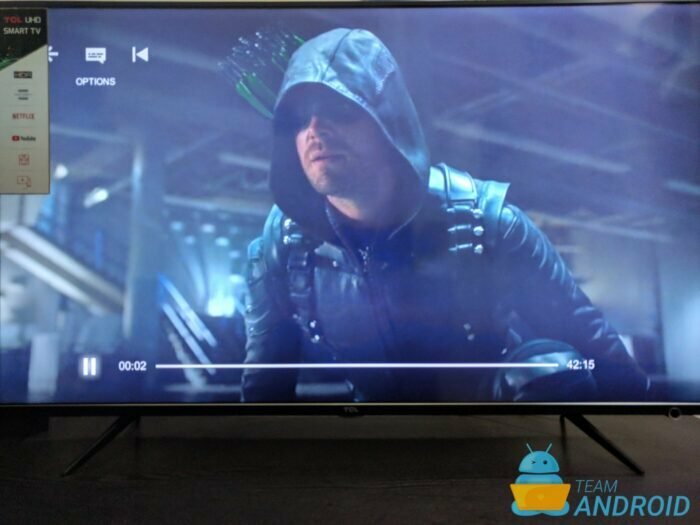 When you are out looking for a great value TV, it is very easy to find one sore spot that can put off the entire deal for you. 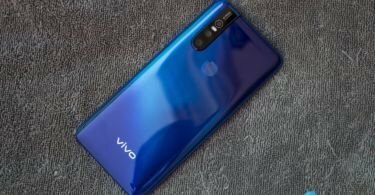 Colours may be too off, or the smart features may not have your favourite apps or you might not like the overall design / package of the TV. There could be a number of reasons to it. 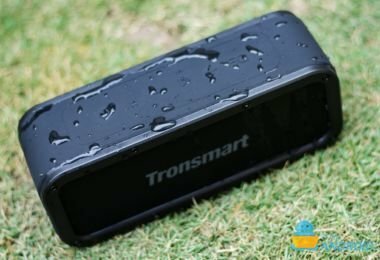 However, there are times when you come across that one great TV which has everything in point and does a lot more than what its price has to offer. 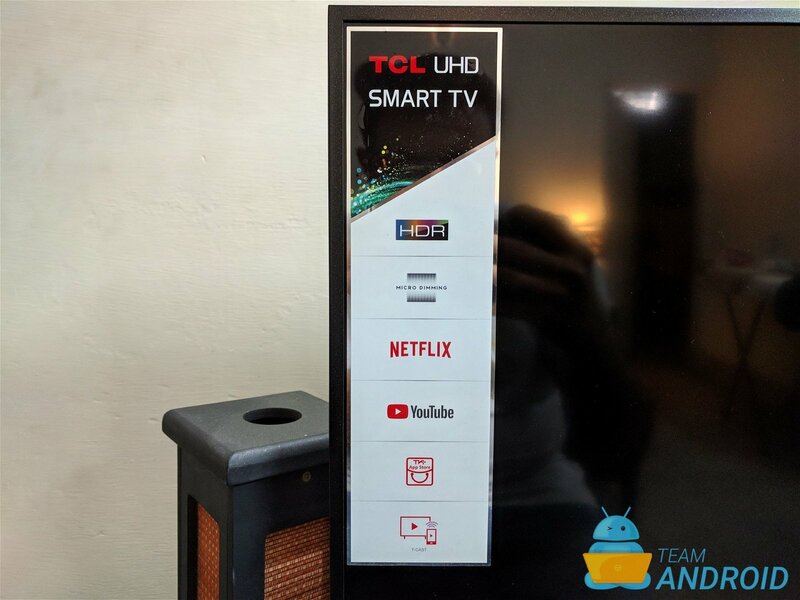 TCL P6 Smart TV is of that same category where it gives us very little to complain about. 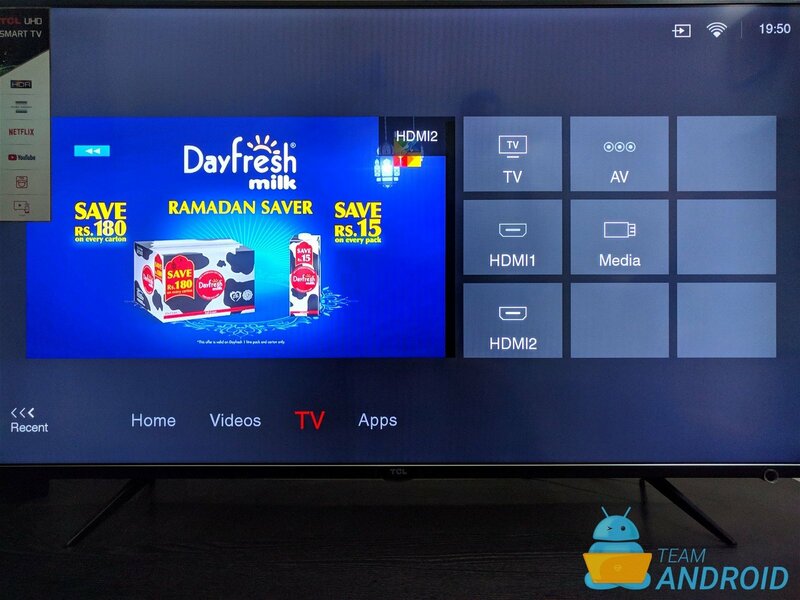 This review is more of a pictorial review where we would like to go through the various software based features this TV has and what makes it so smart. 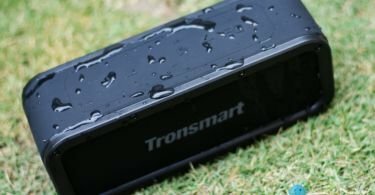 If you wanted to see the hardware / body pictures of TCL P6 Smart TV, you can always Google them. Let’s begin now. TCL P6 offers a stunning ultra-slim design. 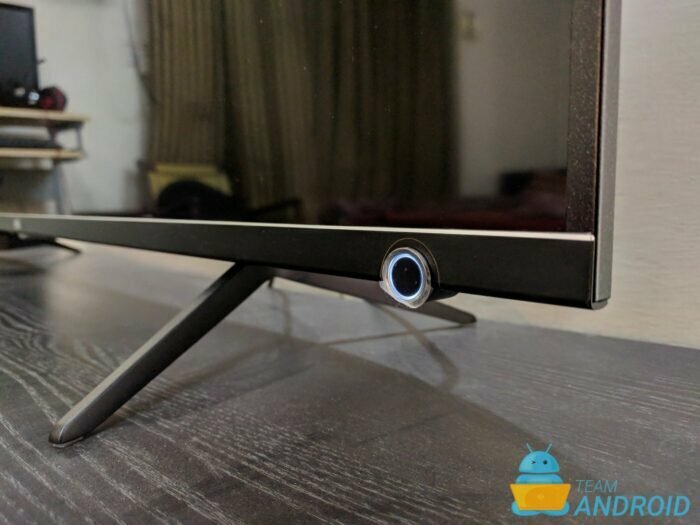 It has one of the slimmest bodies and the most super narrow bezel in the entire TV sector. 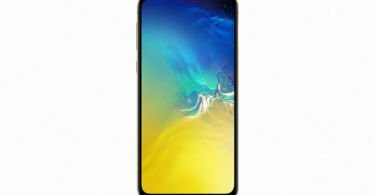 The bezels are just 4.8mm thick and the overall TV slimness is about 9.9mm. 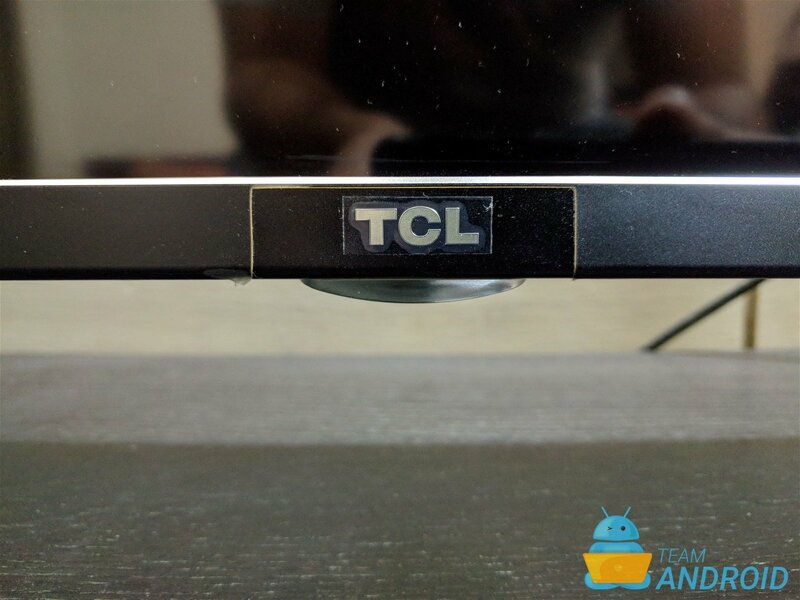 TCL P6 has a simplism design and anyone who seems the TV for the first time can see how slim and sleek it is. TV surface is very smooth with no rough edges, screws or bad curves. The entire panel has been polished with high-precision surface polishing equipment. The panel makes use of metal materials (Titanic Alumnium Alloy) with good heat radiating effect — this in return gives a beautiful and premium feel to the room where this TV is kept. In most cases, a big sizes TV in a small room would look odd and out of shape. However, the TCL P6 TV does not make you feel like that even once. The slim body just fits wherever and in whichever sized room it is placed. And now that you have finally placed the TV at its spot, it’s time to finally go ahead and plug it in. 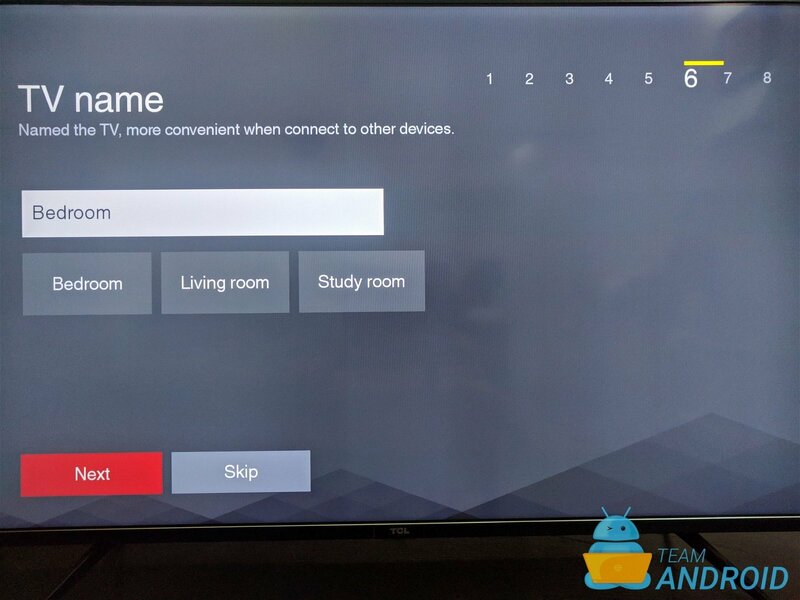 Once plugged in, you will be greeted with the TCL logo and then one-time setup screen will show up. 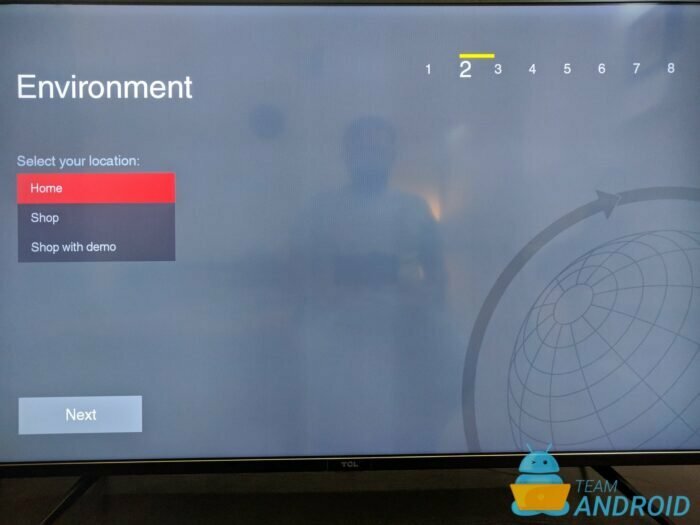 These settings will help you configure your TV when you start it for the very first time. 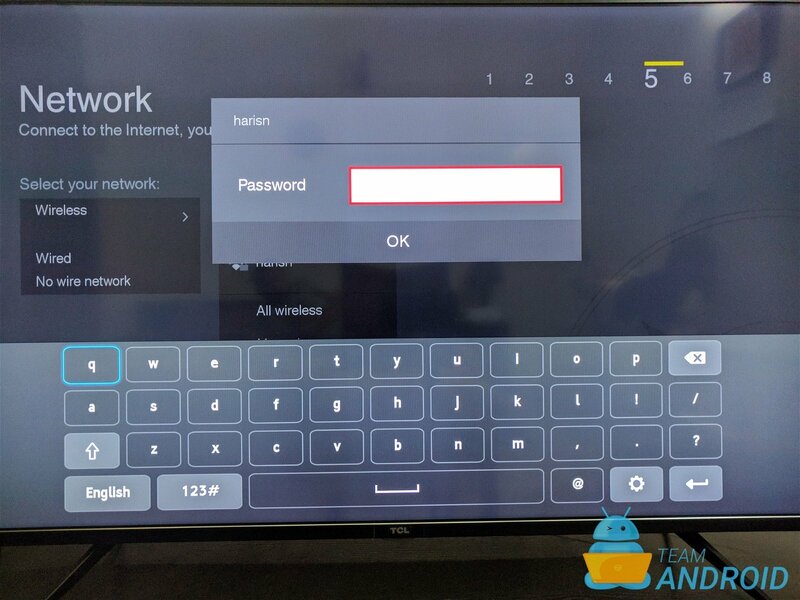 It’s a one-time setup where you will set your main language, TV name, WiFi connection etc. 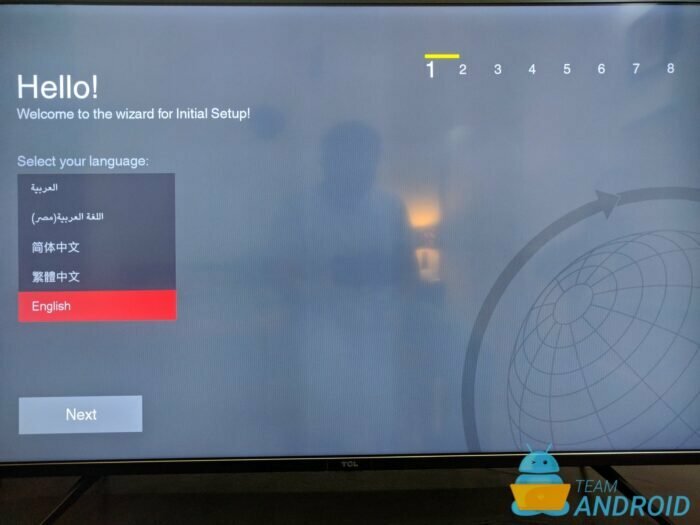 So first, you select your main language for the TV. TCL P6 supports a wide variety of languages. For now, we will go with English. Next, select your environment. Not sure why this is included but obviously you will go with the option for Home. 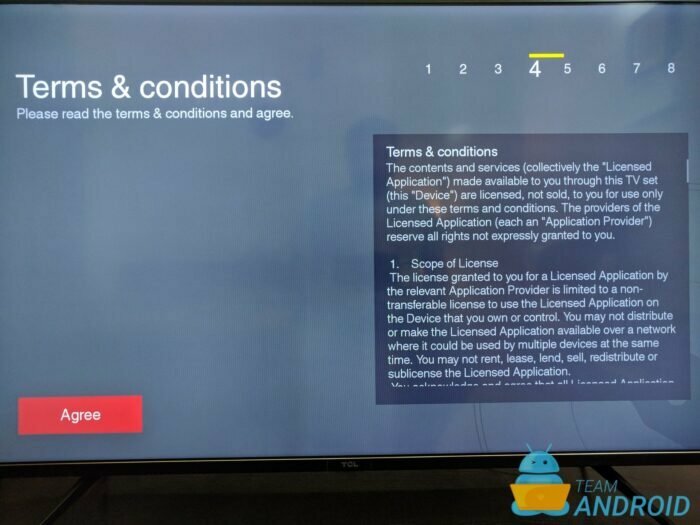 You do not want to watch demo content as displayed in shops. Next, select your country. 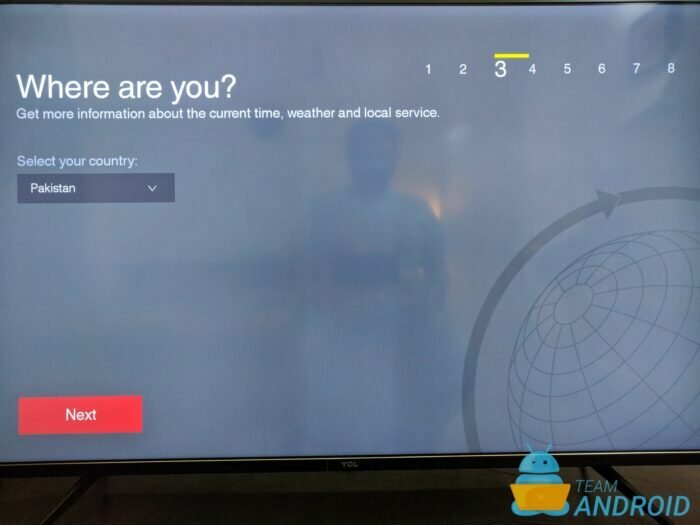 You need to select this in order for TCL to serve you localized content on the TV dashboard. Like always, Agree to the terms and conditions to proceed ahead. 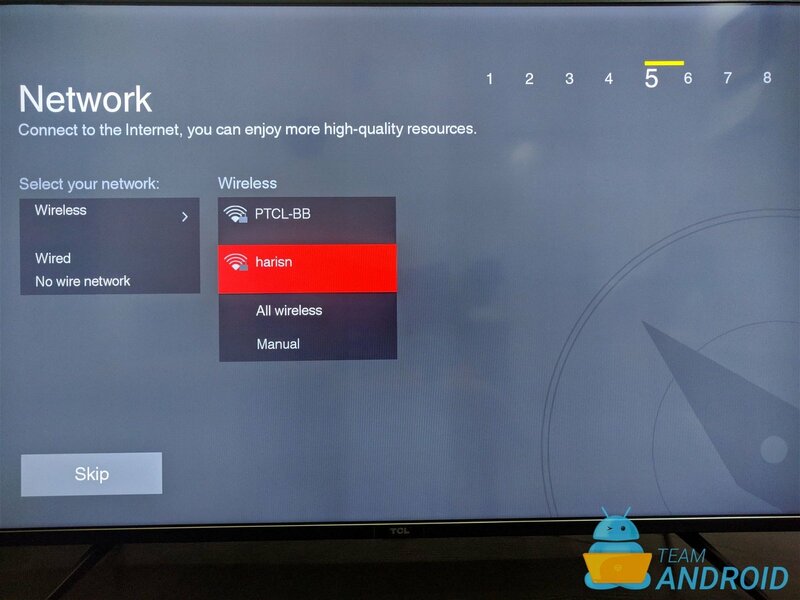 Now, you choose how you want your TCL TV to connect to your Internet. 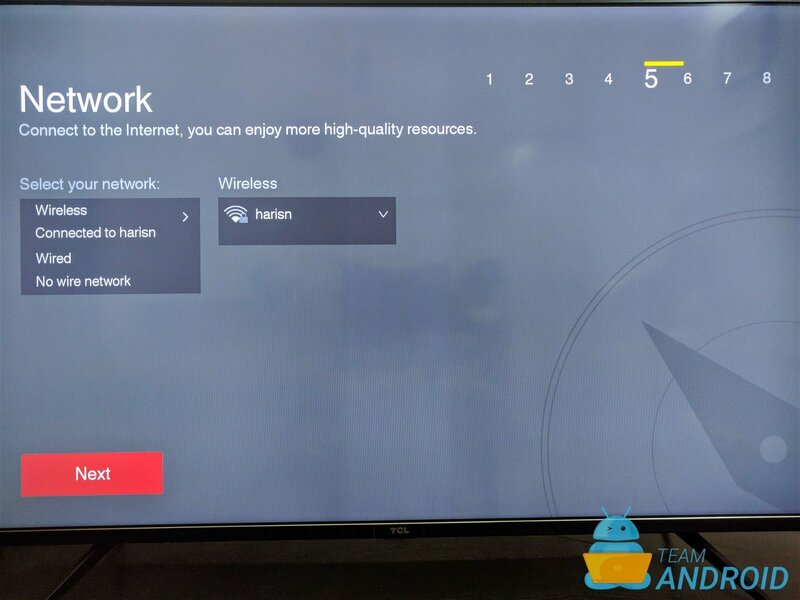 You are given two options, one is through WiFi or you can also connect a LAN cable to your TV for a better, wired connection. 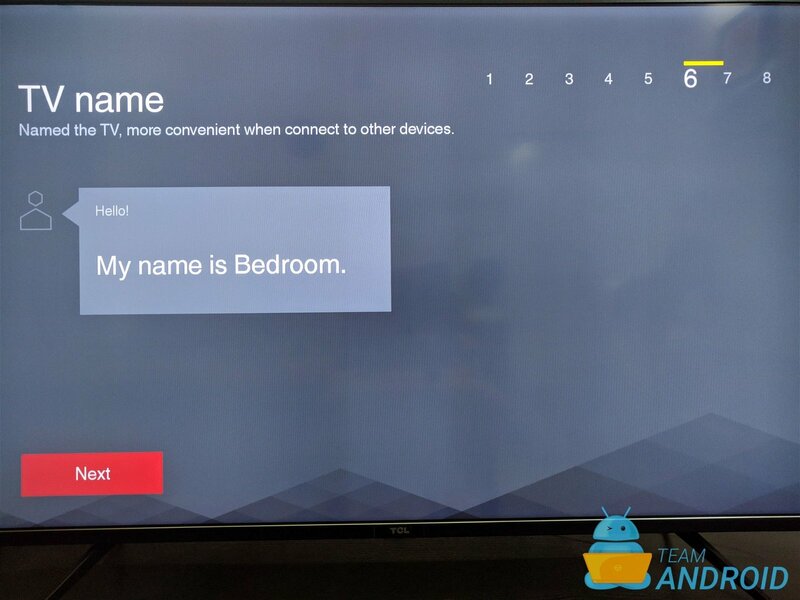 You will have to name your TV now. 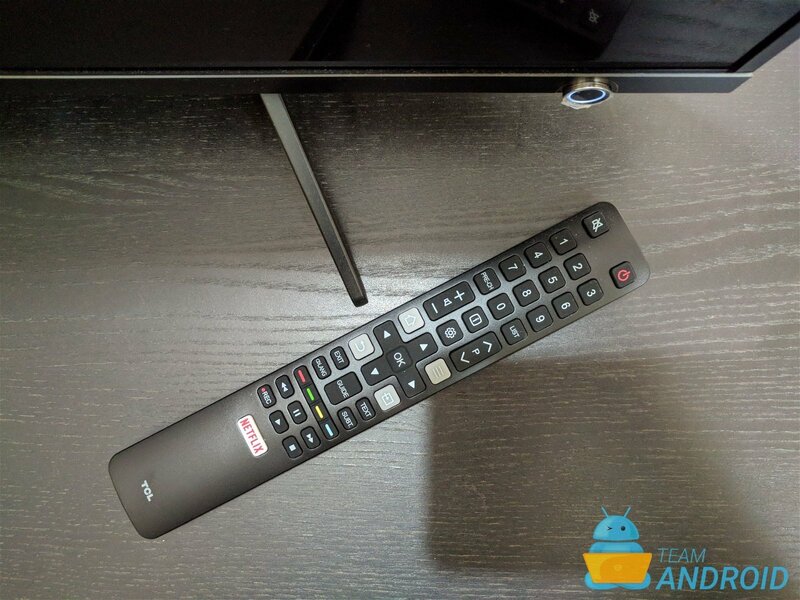 This is for other devices to easily recognize your TV if there are more smart TVs around you. In our case, we are calling it Bedroom TV. 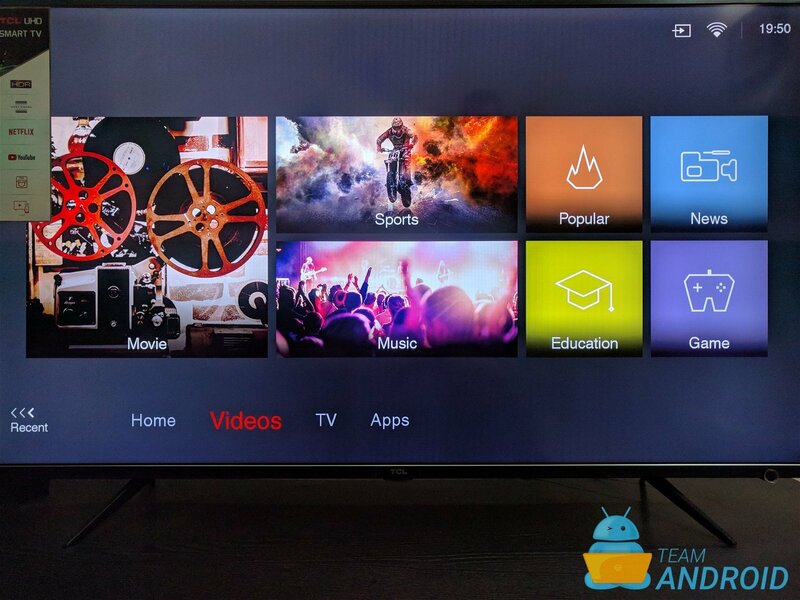 Next, how do you plan on watching TV channels on your smart TV? By antenna or a cable connection? 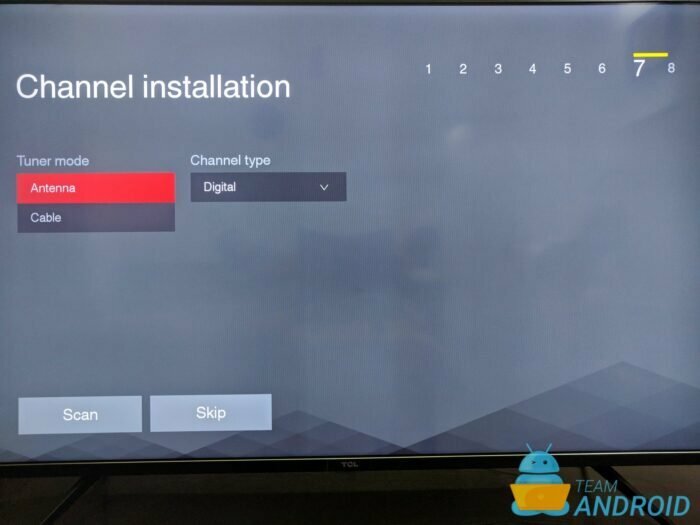 This will help the TV to recognize the device and sort channels (and their info) for you. 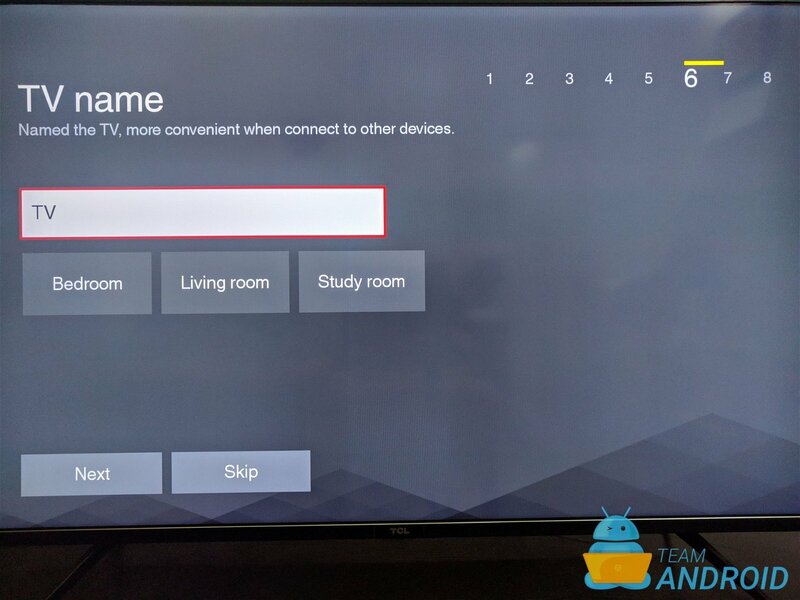 If you see the following screen, this means you’re done with the set up and can now proceed to watching / using your smart TV for whatever you like. You will see a summary of all the information you entered in the previous set up screens. 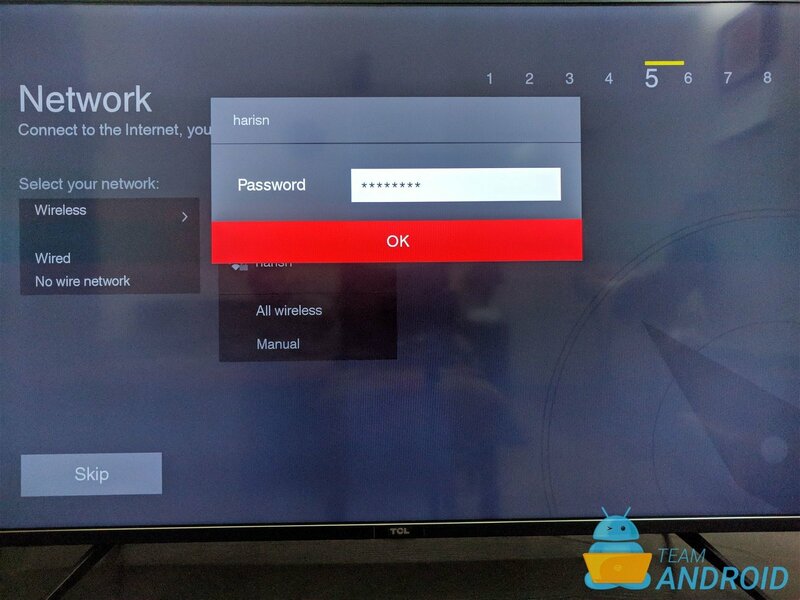 Now that the set up is out of the way, this is the main dashboard / home screen of the TV if you press the Home key on your remote control. 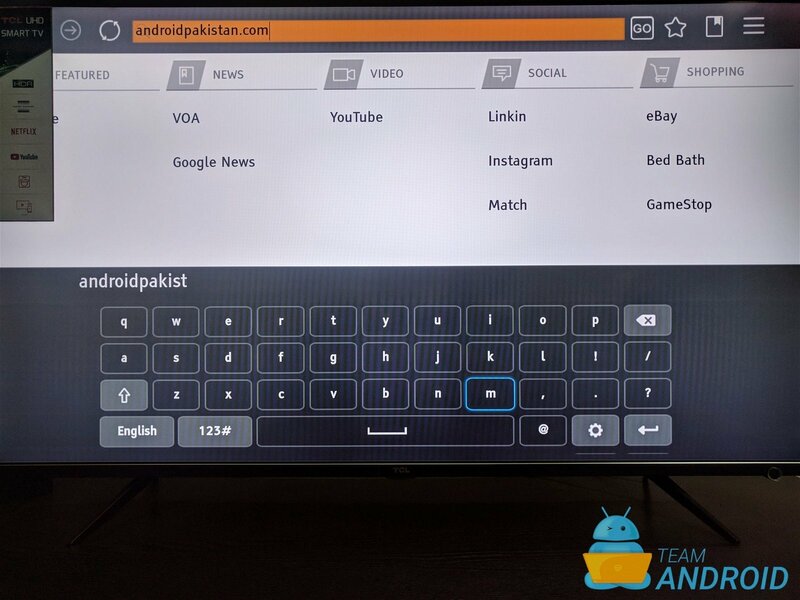 From here, you can navigate around to various features and apps in the P6 Smart TV. 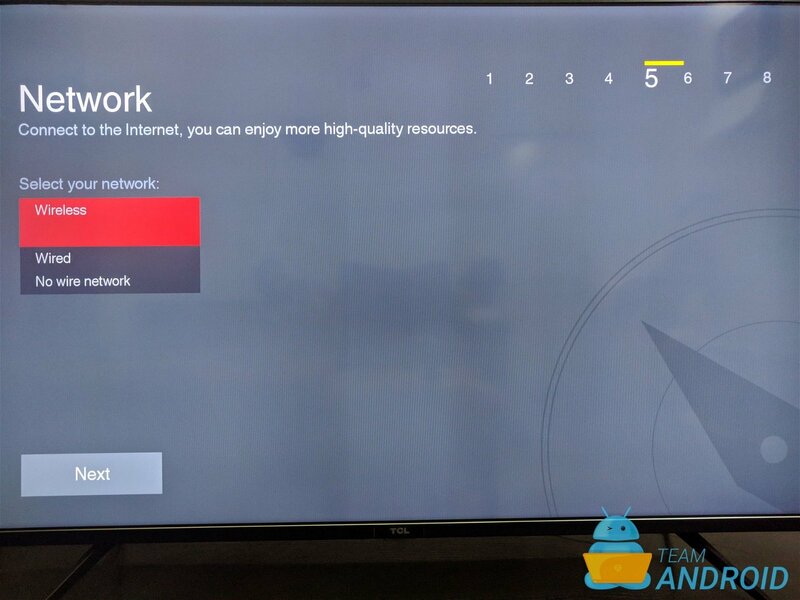 It also shows you if you TV is connected with WiFi or not. 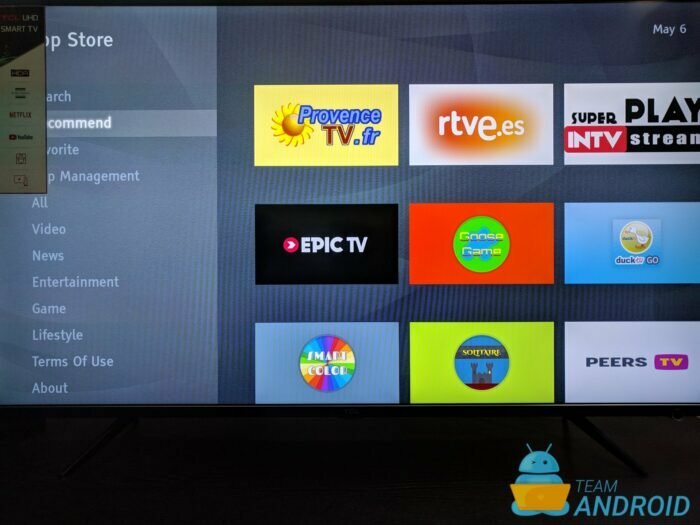 Just to add here, if your TV is not connected to a network, most of the apps and services here will not work or load properly. 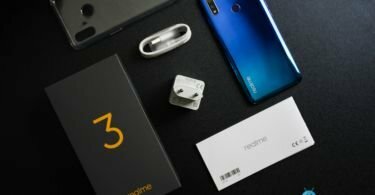 Let’s take a look into each of the screens and what they do. 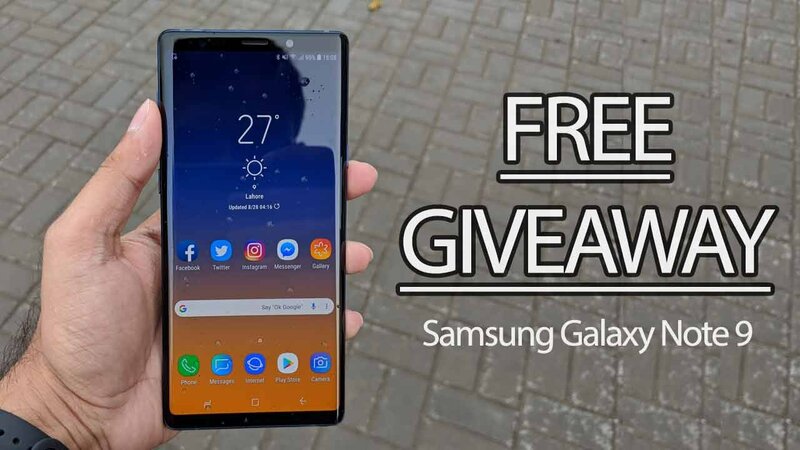 We will also discuss some of the popular apps below and how has the experience been when browsing through YouTube, Netflix or gaming using a PlayStation 4. Home: The main home screen features a mix of local music videos and episodes of your favourite drama series. You can also search for something more specific using the Search button or simply access the Netflix app. We will get into more detail about Netflix later. 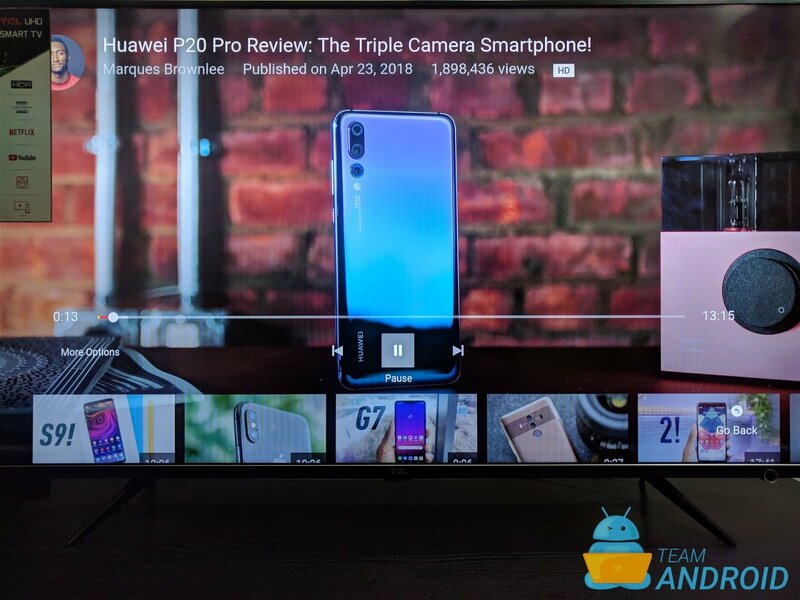 Videos: If you move ahead and switch to the Videos screen, you will be able to go through the popular and trending videos from the following categories: Movies, Sports, Music, News, Education and Games. This is great if you want to quickly find a popular movie trailer or a viral video clip online. 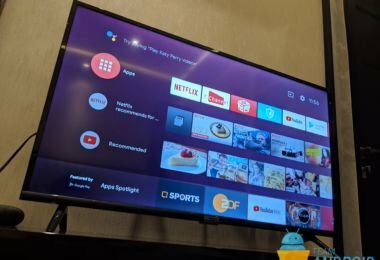 TV: The TV screen allows you to quickly switch between various devices connected to your TV or get a preview of what’s showing upon the TV side or on any of the connected devices through HDMI. You can access devices that connected through regular TV cable, AV slots, HDMI ports or the USB port at the back. 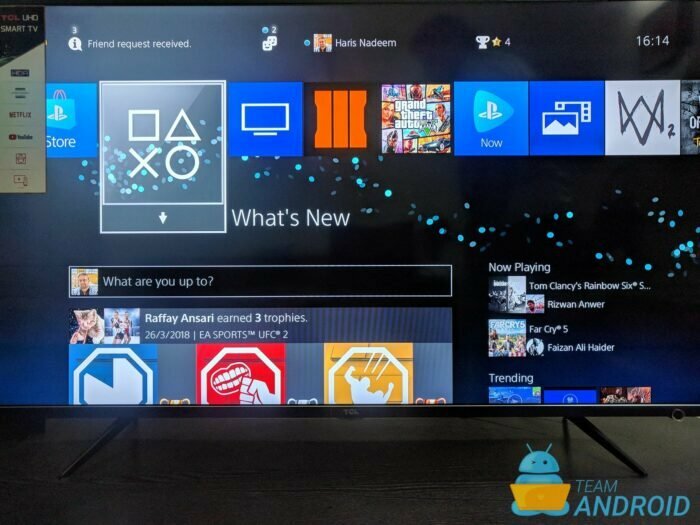 This was very handy when I wanted to switch between playing PlayStation 4 or catching up on the latest headlines on a news channel. 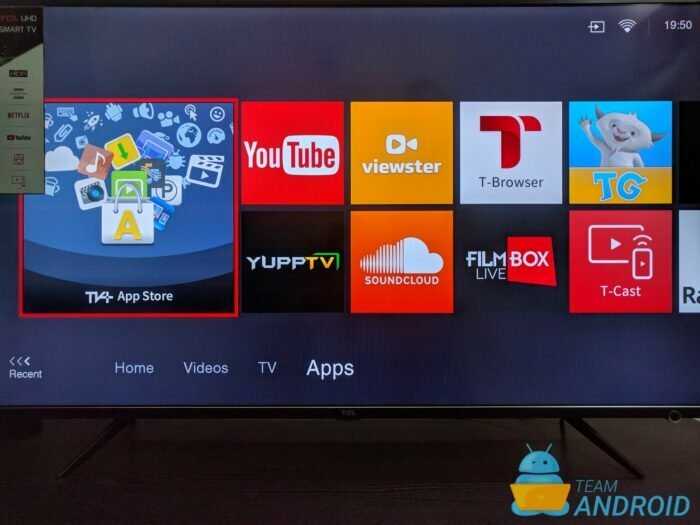 Apps: This is where you will be spending most of your time when using this TCL TV. This screen shows all the apps that are currently installed i.e. 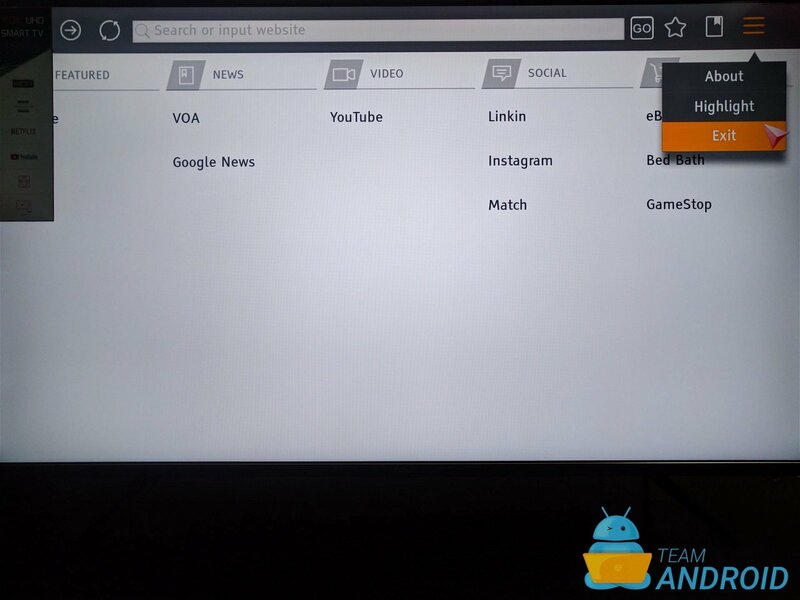 YouTube, a web browser, T-Cast remote control etc. For music lovers, there is also a third-party app for playing music from SoundCloud. 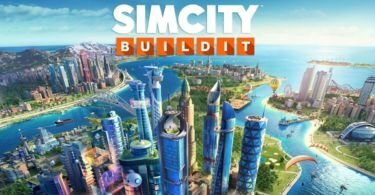 There is also an entire apps store from where you can download more apps. 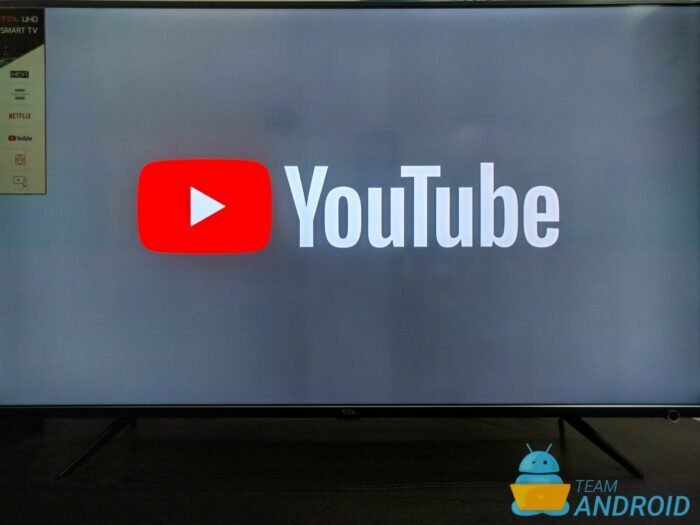 The YouTube experience on the TCL P6 has been amazing. 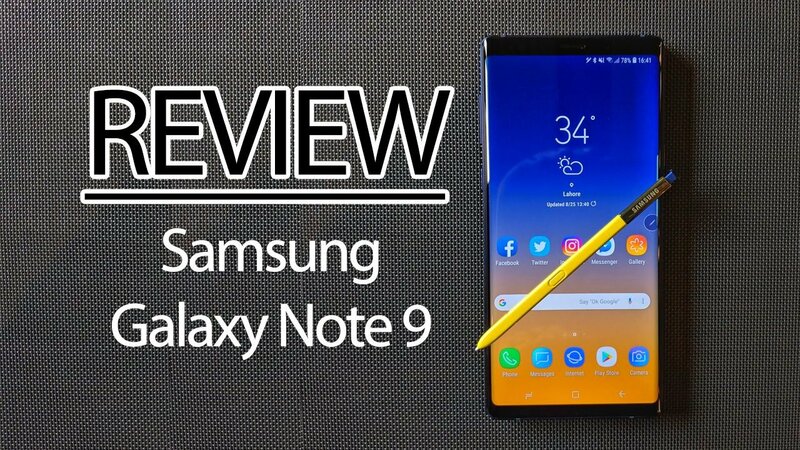 The app works just the way it should and it is fast, responsive and comes with all the features you need for a great viewing experience. 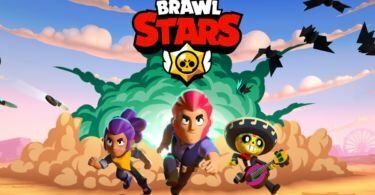 For those who have used the YouTube app on other platforms, i.e. 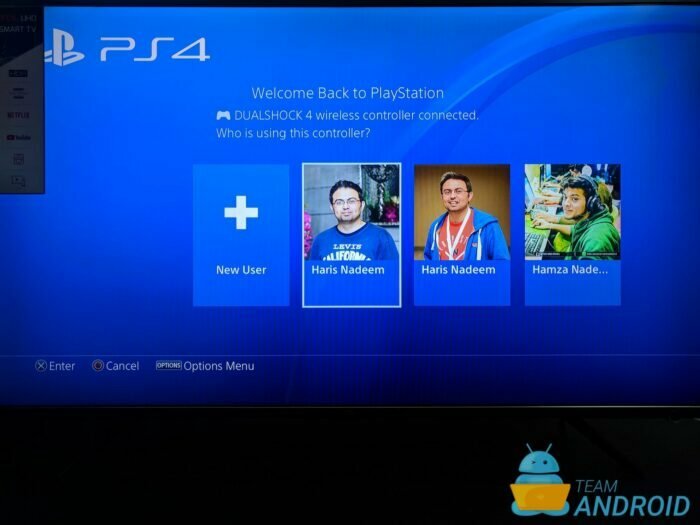 PlayStation 4, can easily recognize it is very same app running on this TV OS. 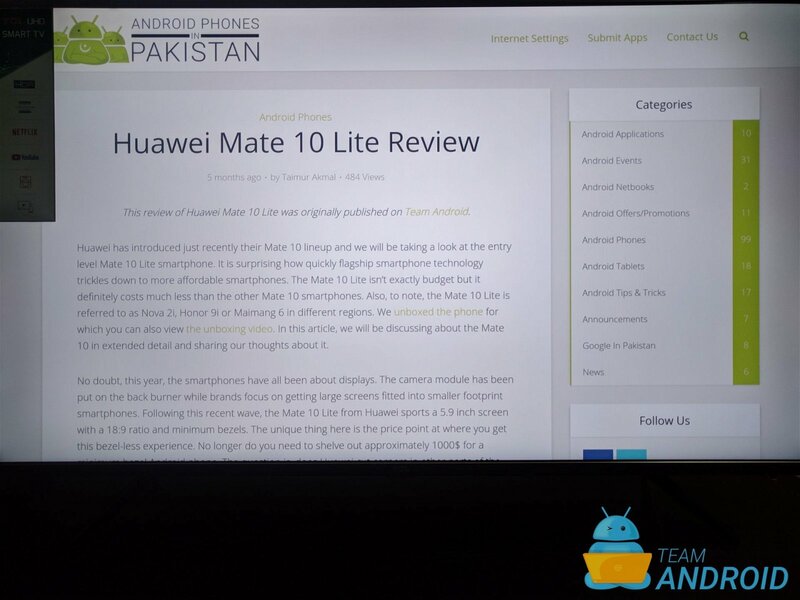 The layout is similar to how we are used to on the desktop website. 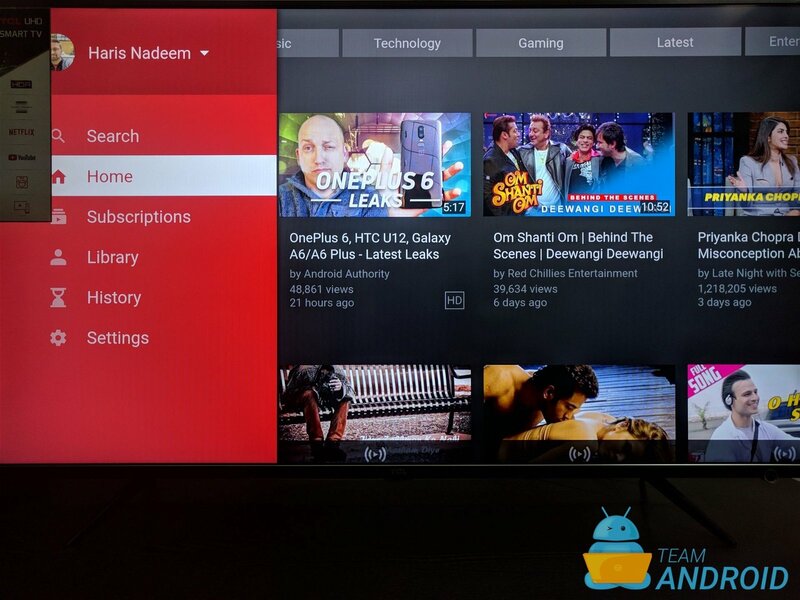 Once you’re signed in with your Google account, you will personalized recommendations on the YouTube home screen. And oh, not to forget, this is a 4K UHD TV. 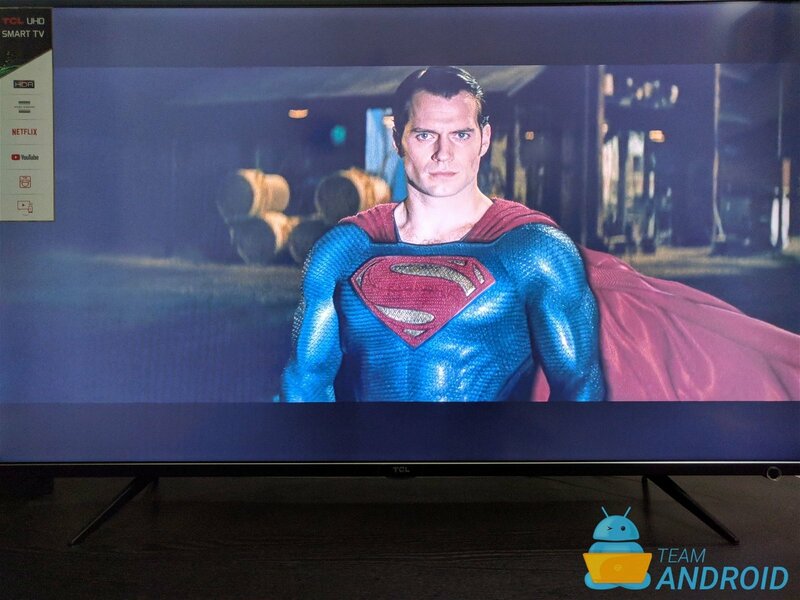 That means, the videos you watch on this TV will play in full 4K resolution, if the video supports it. Just make sure you have a wired fast connection to fully enjoy the UHD experience. 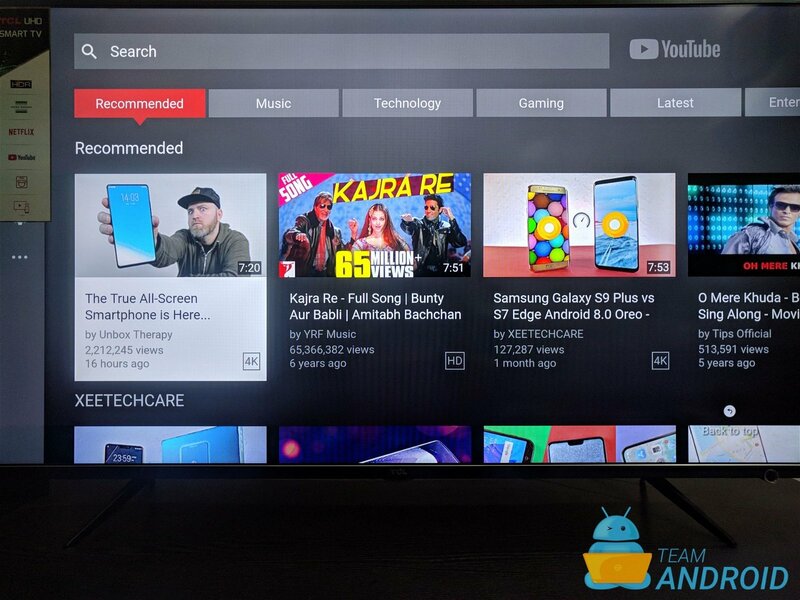 You can access all your subscriptions, your favourite channels, videos history and the library of YouTube videos — same as your desktop or mobile experience. 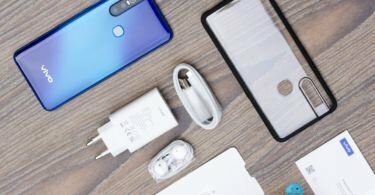 TCL P6 comes with full HDR10 support. This is the basic high dynamic range format for delivering more intense brightness levels and a wider color gamut. And that means, a much better gaming experience on the PS4 because it natively supports HDR. One thing I’ll have to add here, to enable HDR on PS4, you will need to enable HDMI 2.0 support from the TCL P6 Picture settings. 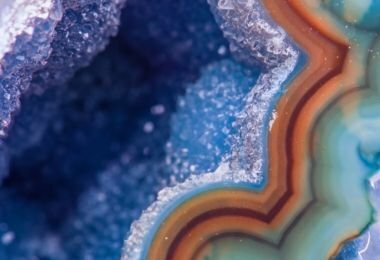 The colours were very vivid and bright while the picture remain crisp with plenty of sharp details. 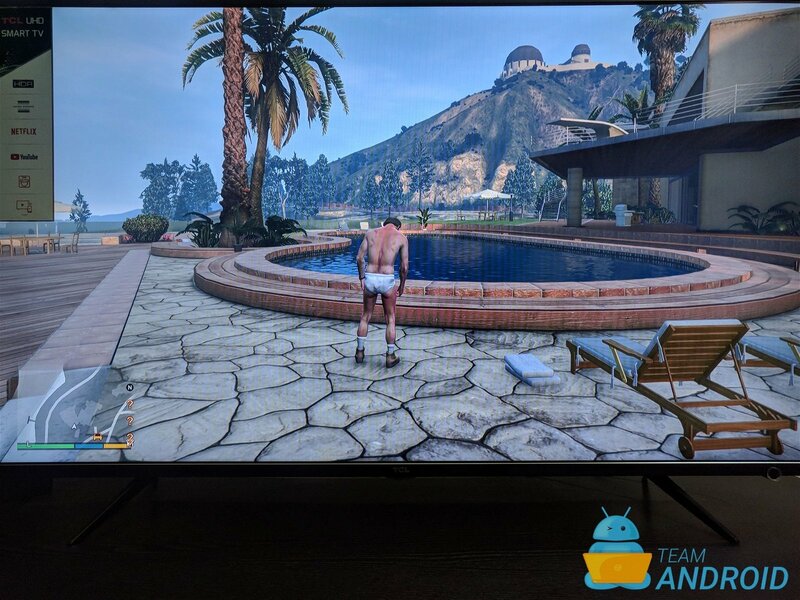 All this was tested out while playing the Grand Theft Auto 5 in day and night time to see the HDR effect kick in properly. No complaints at all! 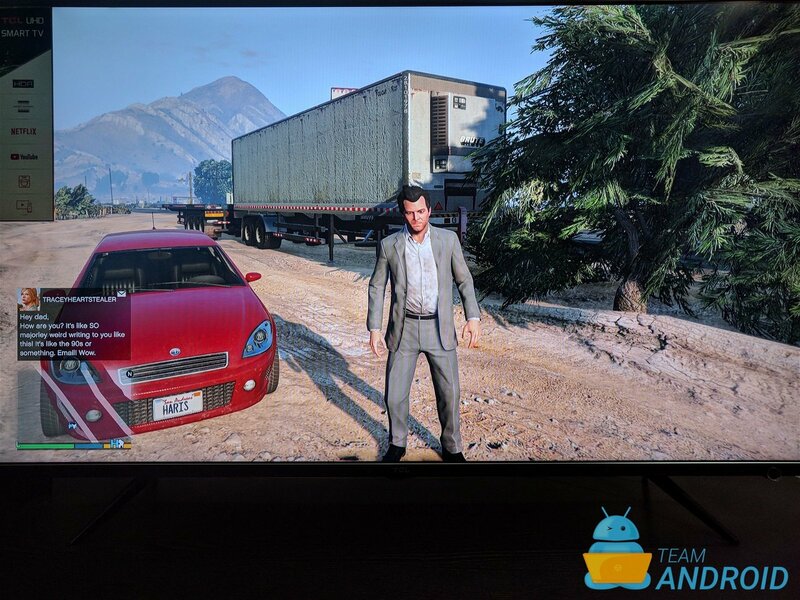 This TV makes it a great purchase for those who only want a TV for running console games. Traditional TV consumption is slowly dying and this is where smart consumption is taking up its place. Netflix is one of those services that enable this “smart consumption” of content. 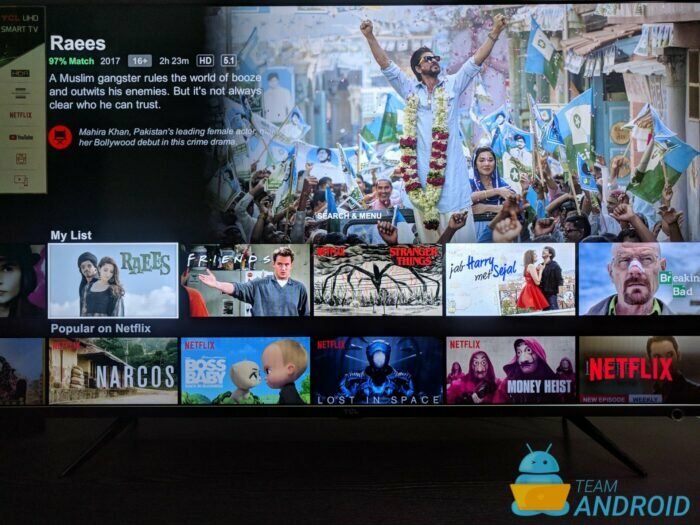 Similar to YouTube, the Netflix app is also highly optimized for the TV screens and is similar to that of running on the PlayStation 4. You can enjoy all your Netflix content in 4K with the best of picture quality. 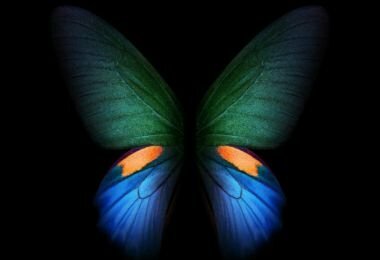 For those who will be trying otu Netflix for the very first time, your first month is completely free. And as a bonus, many ISPs worldwide have promotions with Netflix that can offer up to 3 months of free subscription. Once you pick your favourite TV series and movies, the Netflix app will show you a number of suggestions based on what you choose. The recommendations are generally really good and worth watching. 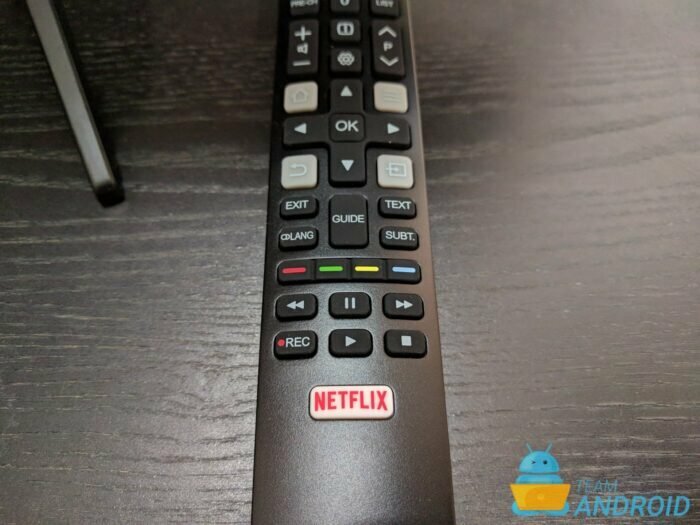 Having a dedicated button on the remote control shows how easy it is to access the Netflix app in just a single press of a button. I ended up binge-watching the latest season of Jessica Jones last week on this TV. 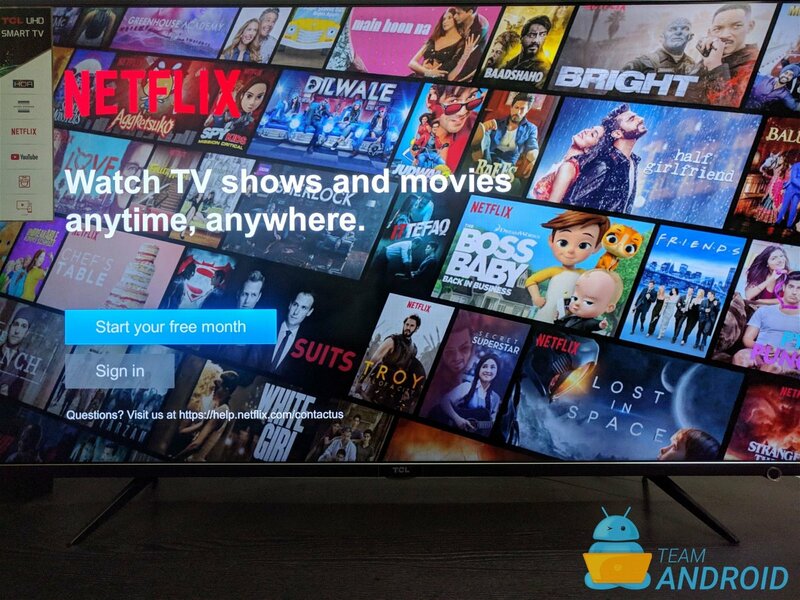 NOTE: You need to have the appropriate subscription plan from Netflix to be able to watch movies and TV shows in 4K UHD resolution. And oh, also a fast Internet connection! Let’s be honest, we have a web browser on every other screen we carry around i.e. our phones and laptops, and we won’t be needing a web browser as much. 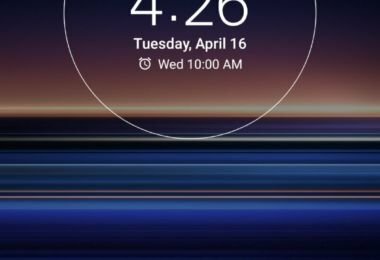 However, there may be times when you would want to show something on a website to everyone sitting around in your room. 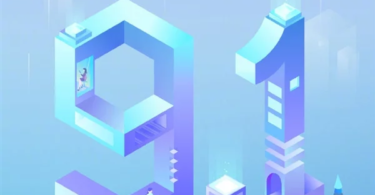 This is when you can quickly go the T-Browser app and open up any website. Not enough apps? There is an app store right on your TV so you could explore and download more apps. The collection is not very huge, but as long as it keeps getting updated and refreshed with new apps, we are happy! You can download apps from a number of categories like News, Entertainment, Lifestyle etc. 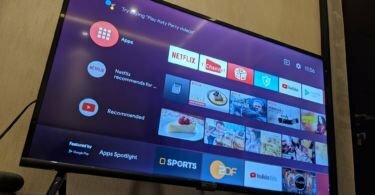 By now we have given you a long list of features and many reasons to what makes this TV a great buy. 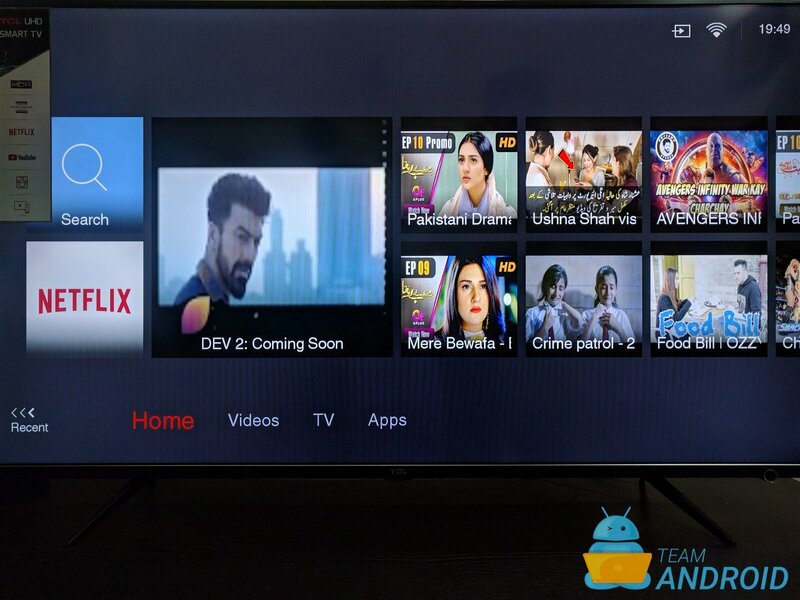 TCL P6 series is for those who to experience 4K UHD resolution and a Smart TV in a very budget-friendly price range. 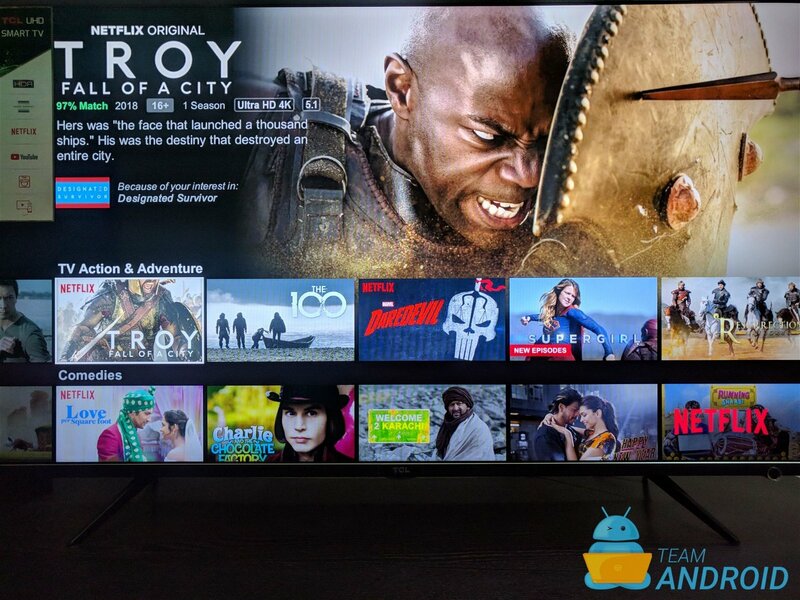 We’re glad TCL is the first company to bring 4K experience to mainstream TVs and we hope to see it bring even more features like Android TV etc. to more TV models this year.